Features four progressively challenging segments: Name, Sort, Match and Vending. 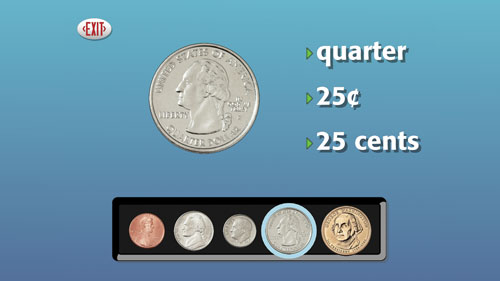 This coins-only program includes the penny, nickel, dime, quarter, half-dollar and dollar coins. 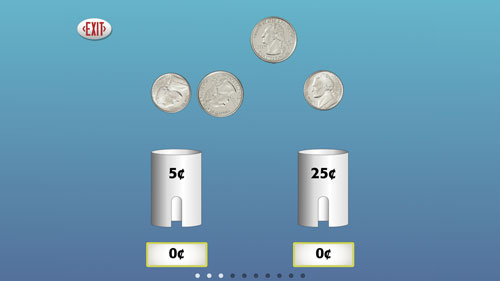 You can select which coins and how many are presented to students. The Name segment encourages students to explore coin sets independently. 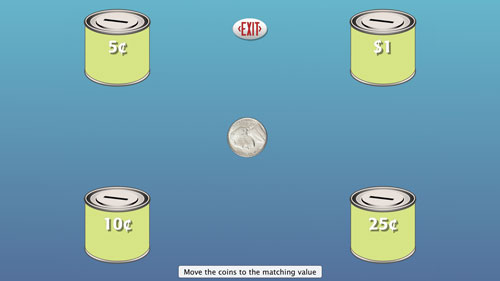 During the Match and Sort segments, students solve a wide variety of money questions. Their performances are stored by the program. In the final segment, students purchase cool products from a virtual Vending Machine. United States and Canadian currency is included. 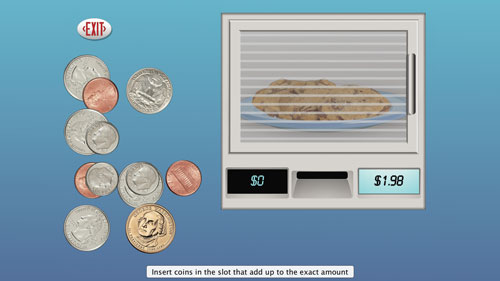 Counting Coins is part of our Dollars & Cents Software that also includes Making Change and Spending Money.